Photodynamic therapy (PDT) is a treatment for pre-cancerous sunspots and early skin cancers. A cream called Metvix is applied to the skin, followed by light exposure which activates the destruction of skin cancer cells while normal skin remains unaffected. Depending on the condition being treated, generally one or two treatments are required. Activation of the cream can be achieved by using either a red LED lamp or by exposure to daylight. What conditions can be treated by PDT? The lesion or area is prepared by gently removing any overlying scale and crust. A thin layer of Metvix is then applied. 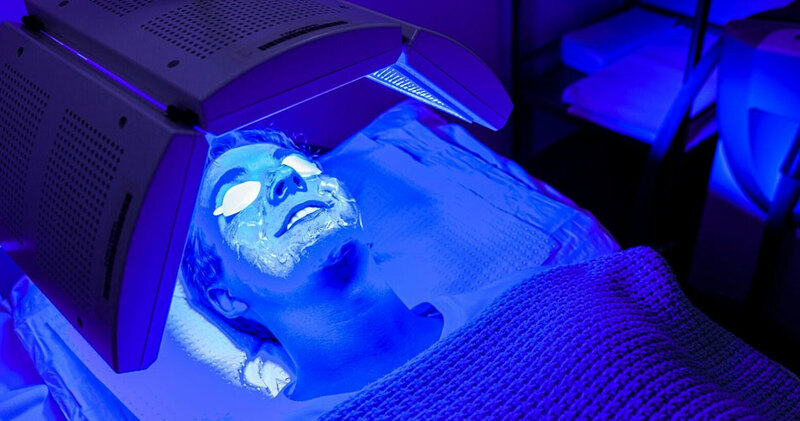 If the red LED lamp source is prescribed, a dressing is applied, the cream allowed to incubate for 3 hours, followed by exposure to the lamp for approximately 8-10 minutes. Cool air or a local anaesthetic injection is used to make the procedure more comfortable. If daylight PDT is prescribed, sunscreen is applied 15 minutes prior to the application of Metvix. Daylight exposure is achieved by staying outdoors for 2 hours carrying out usual daily activities. On sunny days, you may take shelter in shade if it is too uncomfortable in direct sunlight. Generally there is a reaction similar to a sunburn which lasts for approximately one week.